In tribute to the Ramones, whose last surviving member, Tommy, died last week, this week’s instalment of Music Monday is I Just Wanna Have Something to Do, the first track on their 1978 album, Road to Ruin. Tommy Ramone chose to help produce the album, and encouraged the band to find a new drummer, Marky Ramone. 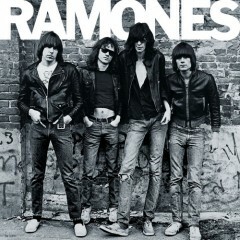 The reason I chose this song over, say, I Wanna Be Sedated from the same album, or Blitzkrieg Bop, which is obviously more well-known, is because of the Garbage cover from the 2003 Ramones tribute album We’re a Happy Family: A Tribute to Ramones. I have a crush on Shirley Manson that’s lasted for 20 years, even though she was an evil robot in Terminator: The Sarah Connor Chronicles. This entry was posted in People and tagged covers, Garbage, music, Music Monday, The Ramones, tribute, video.